I am absolutely thrilled about our new season, and I hope you are too. Passion, fantasy, and intrigue will abound in performances of Rigoletto, Cinderella, and La bohème, Eugene Onegin, which was last presented by the company nearly two decades ago, and Charlie Parker’s Yardbird, a compelling new drama about the jazz icon, in combination with a recital by the talented Costa-Jackson sisters—Ginger, Marina, and Miriam—makes the 2019/20 season our biggest in recent years. In addition, with the growing Seattle population, we are adding more performances of favorites Rigoletto and La bohème. We’re also introducing the first weekday matinee since the opening of McCaw Hall. We look forward to welcoming middle- and high-school students to this performance of La bohème. And if that’s not enough, we’re adding a chamber opera to the season’s line-up in November 2019. The Falling and the Rising is a new American opera we commissioned based on the true stories of active duty soldiers and veterans. It will be the first chamber production in the Opera Center’s Tagney Jones Hall. But more importantly, this opera demonstrates our commitment to telling stories that speak to the hearts and minds of Seattleites and Washingtonians. This story is especially relevant because of our community connections to the armed services. The Falling and the Rising follows other works that illustrate our pledge to telling diverse stories. Among them are O+E, a retelling of the classic tale of Orpheus and Eurydice that featured women in the leading roles; and An American Dream, a story inspired by two real-life Puget Sound women: a German Jewish immigrant worried about family she left behind and a Japanese American forced to leave her home. Many of you are eager for an update on the board’s progress toward naming a new General Director. I can report that the search committee has retained an executive search firm to assist the board. Together we are hard at work identifying potential candidates who closely align with the company’s mission, vision, and values. We will report to you again when a candidate has been selected. What’s more, any candidate to lead Seattle Opera will want to know what our plans are for the Ring. We know you do too. Seattle Opera has a long history of presenting Richard Wagner’s Ring. In 1975, we were the first to stage a complete cycle in the United States in more than 35 years. That production and subsequent presentations helped build U.S. audiences for this important repertoire. 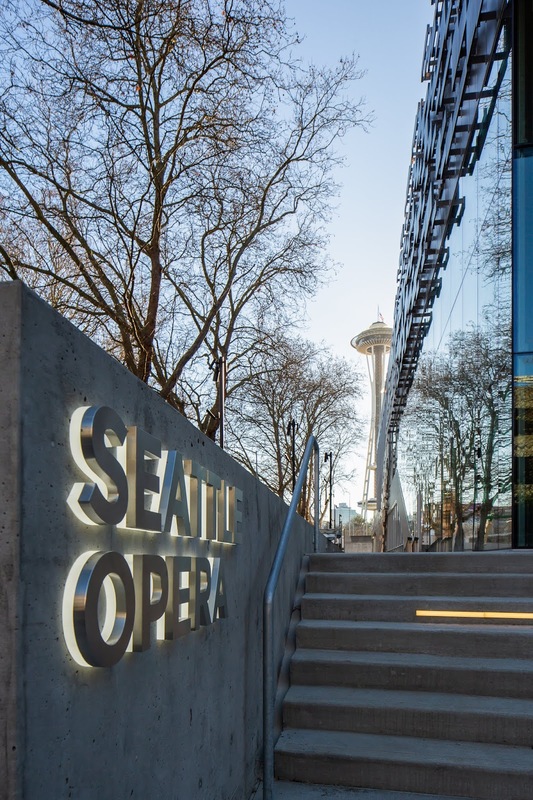 However, in recent years, several U.S. companies have presented partial or complete Ring cycles, reducing Seattle Opera’s distinct exclusivity with this work. We are proud of our legacy of bringing this important work to the U.S. opera canon. Building a new production of the Ring is a significant financial commitment for any opera company and will require a substantial fundraising campaign to create and present an entire cycle set. Given the costs and the planning timeline required, the decision to mount a new Ring will be between the new General Director and the Board of Directors and should not be expected before the company’s 60th anniversary in 2023. Thank you to all who attended one of our opening Opera Center events in December. It was a festive and celebratory month! Our staff and artists are now settling into producing opera in this beautiful new facility designed for 21st century opera. As Aidan has reported in past State of the Company emails, the opening of the Opera Center is an opportunity for the company to evaluate all of its facilities. In keeping with the growing practice of co-creating new productions as we have recently done with Porgy and Bess, Aida, and The Barber of Seville, Seattle Opera continues to collaborate with other companies both nationally and globally. Upcoming co-productions include The (R)evolution of Steve Jobs, Carmen, and Eugene Onegin (the latter of which is a joint effort by five US opera companies). These collaborations allow us to stage reimagined favorites in the grand style you enjoy, while simultaneously reducing our construction costs. Consequently, in recent years the fabrication and construction work for opera sets at our Renton Scene Shop facility has declined. Since the start of the 2016/17 season through our recently announced 2019/20 season, only two new mainstage opera sets (out of 20) were completed start to finish out of the Renton facility. In addition, much of the work we have been doing at the site recently, such as receiving incoming sets, constructing components of set pieces, and making repairs, is shifting to the Opera Center. As a result, the work in Renton will decline further. In the past year, the Board of Directors has analyzed future uses of the Renton Scene Shop facility and has recommended the sale of site. We will begin this process by talking with parties who may be interested in purchasing the site and continuing its use as an independent scene shop. The sale of the property is a critical part of the company’s overall financial well-being and will help secure some of the funding needed to stage future mainstage performances in the coming years. I want to assure you that this will not impact what you see on stage or your overall opera experience. In fact, most large US opera companies do not operate sizable scene shops such as the facility we own in Renton. Companies in our industry are working more closely together to design and construct sets that we can share and enjoy with all of our audiences. The Opera Center will deliver more opera programs with each coming month but there is a very special event coming up that will give you a one-night-only experience of opera and music. Please join me at our first ever Big Opera Party on Friday, May 10. The festive night starts with a reception in the Opera Center, followed by dining on the stage of McCaw Hall surrounded by the set of Carmen. In addition to performances and a live auction of exclusive opera experiences, the merriment continues with an after-dinner dance party. Proceeds raised at the event will benefit Seattle Opera programs and overall operations. You can reserve your place at the party at seattleopera.org/bigoperaparty or by calling 206.389.7669. 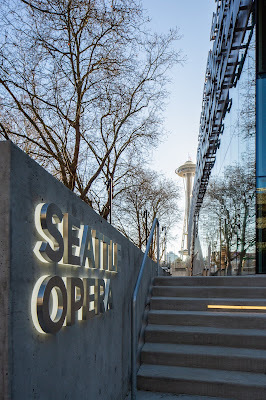 Your Seattle Opera Board of Directors is dedicated to supporting this company and stewarding your investment so that Seattle Opera continues to create opera we all love.